‘Digital maturity’ is another one of those phrases that has lost some of its meaning through over-use but since so many companies are undergoing some form of digital transformation I do think it useful to have some kind of framework for development. So what might the progression in digital competence look like? At this initial stage, the organisation (or in the original model the individual) is not only unaware of how to effectively deploy digital technologies, they are also blissfully unaware of what they don’t or should know. 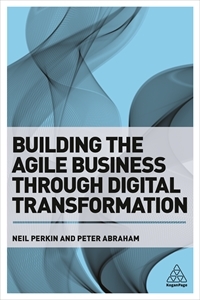 In order to move on to the next stage, the company needs to first recognise the value of digital transformation, and the degree of stimulus or impetus to learn determines the amount of time spent at this stage. The company may not fully understand digital or how to deploy it but they are at least aware of their short-comings and of the value in developing new competencies to address the deficit. Experimentation and learning from failure becomes an important part of the learning process at this stage. By this stage, the company has developed competency in digital, but deployment or execution requires conscious effort, focused involvement, and likely planned, definitive steps. A true ‘digitally-native’ organisation. Digital becomes second-nature, executed easily, intuitively, allowing for greater efficiency and capability in execution. What I like about this model is that it progresses from unconscious (we don’t know what we don’t know) to conscious (we know what we do know and what we don’t know) to innate (we know it so well it is intuitive). As experience grows, new 'situational' elements come into play meaning that rules can be applied to specific and related conditions. But decisions are still made through the application of rules, all aspects of work are treated separately, and with little prioritisation or responsibility taken. At this stage the numbers of rules increase, perhaps to the point where we need to adopt organising principles, or specific and particular perspectives. So relevance of information becomes more important, decision-making then becomes active, planning more deliberate, and so implying more responsibility for choices and decisions. By now, the company is able to take a more holistic view of a situation, better understand contexts, prioritise the importance of particular aspects, note deviations from norms, employ guiding principles and adapt to the situation at hand. Diagnosis of situations is becoming more intuitive but conscious decision-making is used in the formulation of plans, and real-world previous experience can inform decisions. Digitally-centric approaches are second-nature, there is a strong vision of what is possible, there is an intuitive grasp of situations based on deep, tacit understanding but analytical approaches might be used in new situations or contexts. Decision-making is intuitive, with no need to deconstuct situations into discrete elements to understand them, the company does what works, pattern recognition might extend to the plan as well as the diagnosis.